Breakfast is the bomb diggity. (Do kids even say that anymore?) What’s not to love? But it’s hard to find a good middle ground in between the ease and convenience of cereal and the heartiness of a full eggs, bacon & toast spread. This is that middle ground! Once prepared, it’s as easy as cereal, but it’s as hearty as eggs. And, if need be, it’s easily held to be eaten in a car or at a school bus stop or while curling your hair. And if variety is the spice of your life, then this is also a recipe for you! Make them plain – they’re delicious! 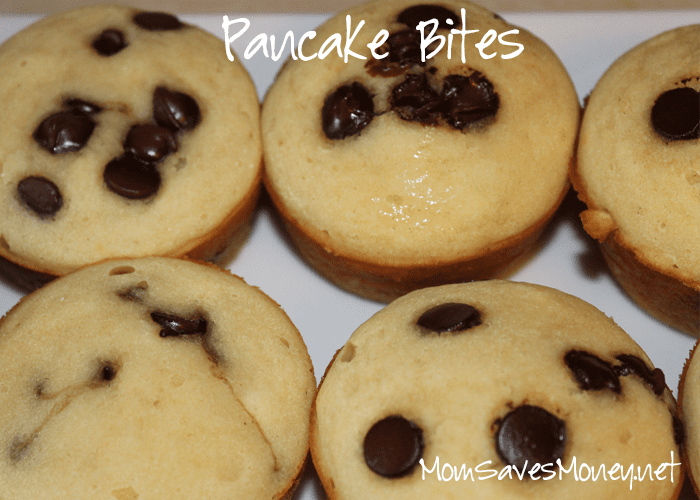 Make them with chocolate chips – they’re delicious! Make them with blueberries – they’re delicious! There are other choices too – strawberries or diced apple pieces. Delicious! Delicious! Delicious! In addition to delicious, they’re easy to make. Just 1 bowl. Don’t even need a mixer – just a sturdy spoon. Speaking of baking things in muffin tins…about 6 months ago, I switched from using paper or foil muffin liners to using silicon ones. I love them! It makes freezing goodies easier. Just let them cool, pop them out and you can freeze the muffin. Or the cupcake. Or the oatmeal cups. These are the ones that I have and love. But whatever you use — a really well greased muffin tin, paper liners, foil liners or silicon baking cups, just make these beauties! Preheat oven to 400 degrees. Spray large muffin tin with non-stick spray or use silicon baking cups. In a bowl, mash banana until smooth. Add eggs to the bowl. Off to the side, beat the egg with a fork. Add oats, baking powder and vanilla to a bowl. Stir until just combined. If doing every oatmeal cup the same, add the mix-in to the batter and combine. I tend to do a few different kinds, so I don't mix it in with the batter. 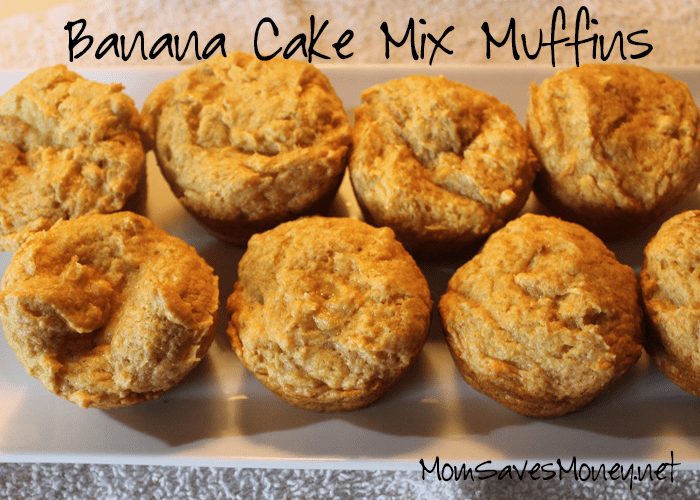 Fill the muffin cups to the top with the batter. 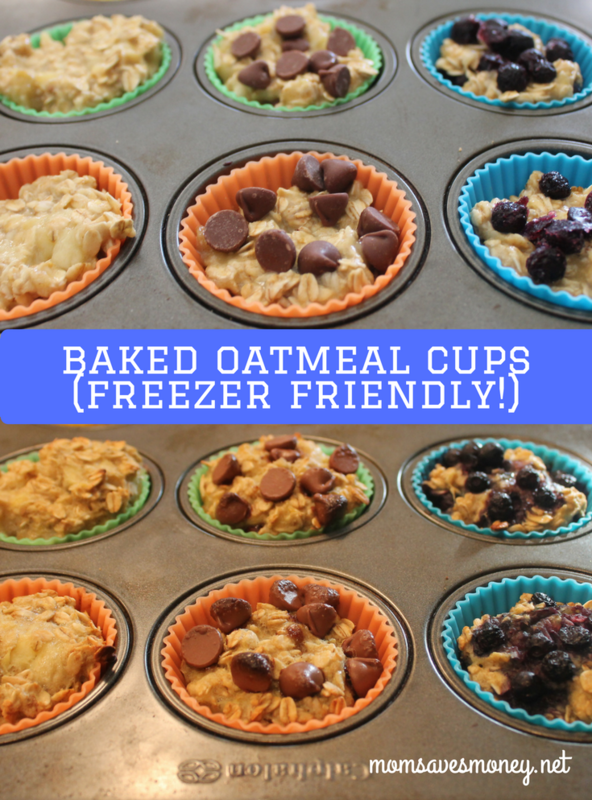 If doing different type of oatmeal cups: fill muffin tips about 1/2 way. Add a little bit of your mix-in as desired (blueberries & chocolate chips, etc). Fill the rest of the muffin tin to the top. Bake at 400 for about 16-20 minutes. 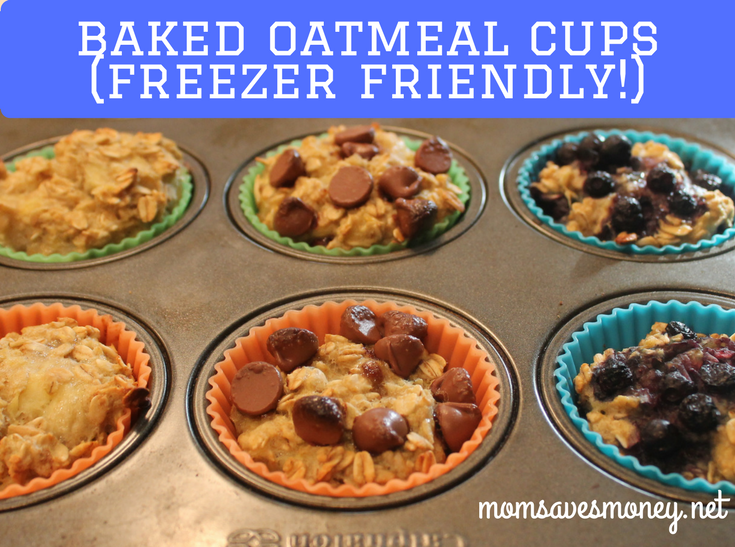 Allow oatmeal cups to cool slightly a few minutes before handling. To freeze: allow to cool completely, then place on top of a cookie sheet (close, but not touching). Place cookie sheet in freezer for a few hours. Then remove and place in freezer-safe container like a Ziploc bag. To eat from frozen, just microwave for about 45-60 seconds. If making more than 1, you'll have to go a little longer. You can also do mini muffin sizes. It'll bake for about the same time. These sound awesome and so easy!! Can’t wait to try them. How many muffin cups does the recipe make? I’m trying to figure out the Weight Watcher points for them. Thanks! I got about 9 of them, if I remember right. (To be honest, I double & triple the recipe usually, so it’s hard for me to remember what a single batch makes! ).